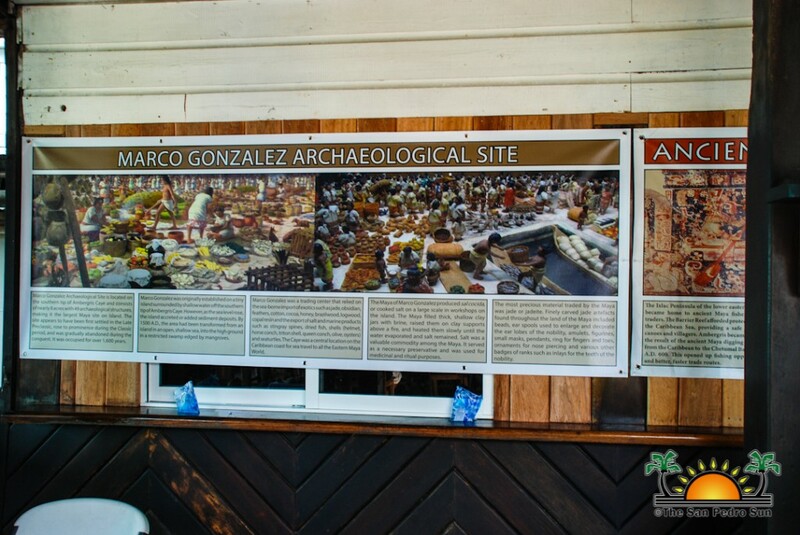 During Archeological Week, Marco Gonzalez Maya Site Ambergris Caye Ltd (MGMSAC), along with Belize Institute of Archaeology (IoA), held informative presentations at El Patio Restaurant in San Pedro Town on October 19th and 20th. 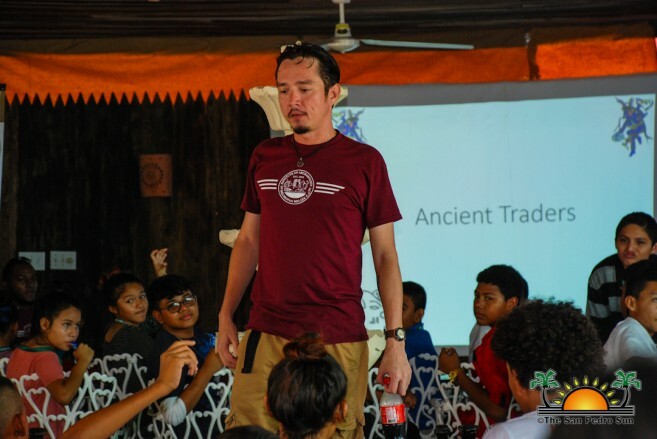 The archaeological presentation was facilitated for all San Pedro Town primary and first form students as well as island residents. 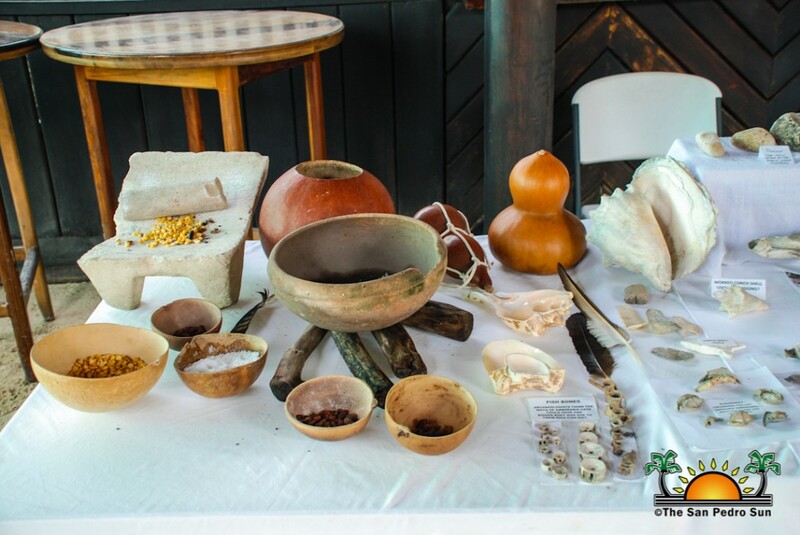 The purpose was to educate the participants about the archeological interests on Ambergris Caye and the near vicinity while fostering an appreciation for the preservation and protection of their cultural heritage. 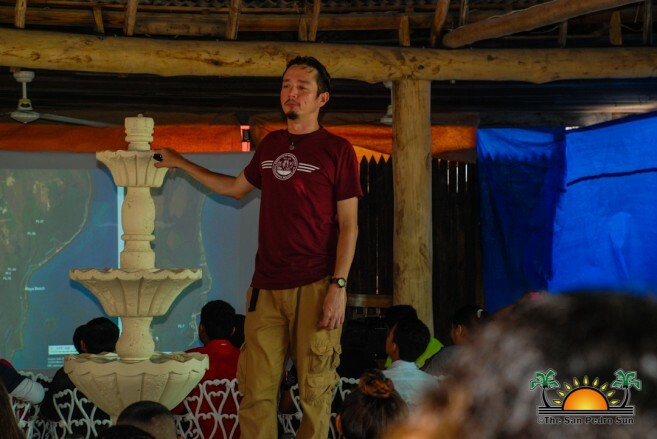 Facilitated by the Research Department’s Antonio Beardall, photographs, video clips and fossilized remains of a giant sloth were used to teach the attendees about the Maya who occupied Ambergris Caye as a trading zone, highlighting the dynamism of the Marco Gonzalez site. At the end of the presentation, there was a question and answer segment in which students were rewarded with items from the IoA. 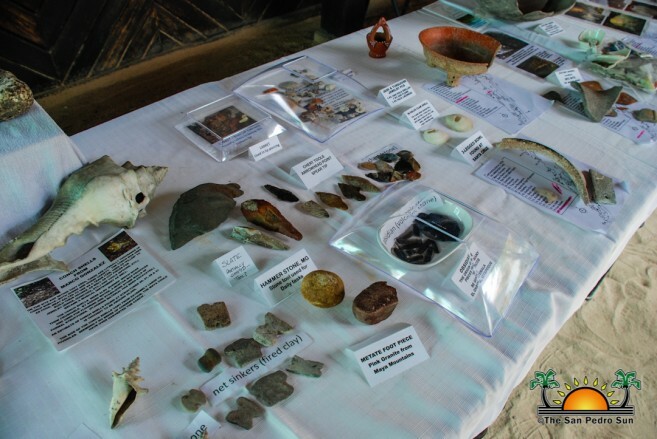 The attendees also viewed a large display of artifacts excavated from five of the 21 Maya sites on Ambergris Caye, including nearby Blackadore Caye. Over the two-day period, 657 guests attended, including students, teachers, parents, and residents. The event would not have been a success without the following persons and organizations: Ministry of Education, San Pedro Town Educational Officer Odelia Caliz, El Patio Restaurant family and staff, National Institute of Culture and History (NICH) and IoA, The San Pedro Sun, Ambergris Today, Reef Radio TV, San House of Culture Mito Paz, Dr. Kay Mccarron, MGMSAC president Peter Nolan and Lis wife Leslie, and employees Jerry Choco, Peter C, and Terrance H, IoA Research Department’s Antonio Beardall, Josue Ramos, Paul Smith and MGMASAC Ltd Chairman of the Board Jan Brown. 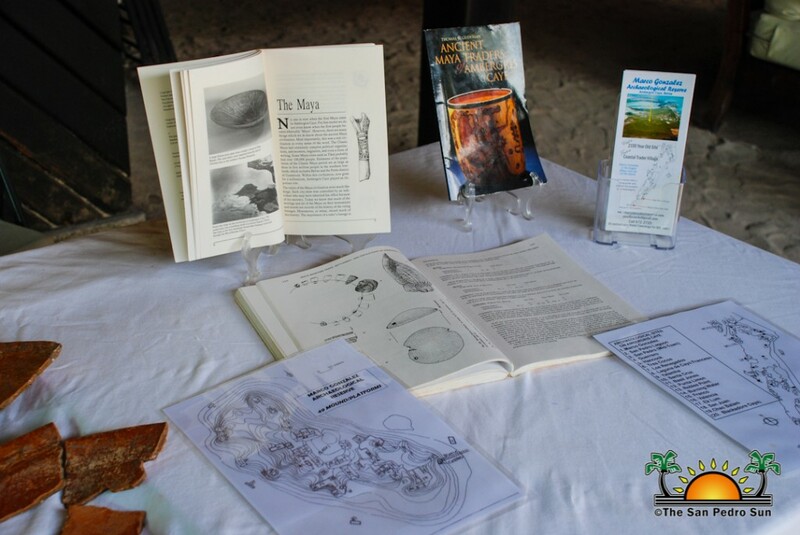 Other presentations were held countrywide by the IoA during Archeological Week, including Orange- Walk Town. Their presentation focused on specific aspects of few of the town’s sites such as Lamanai, Cuello, and Ka’kabish. 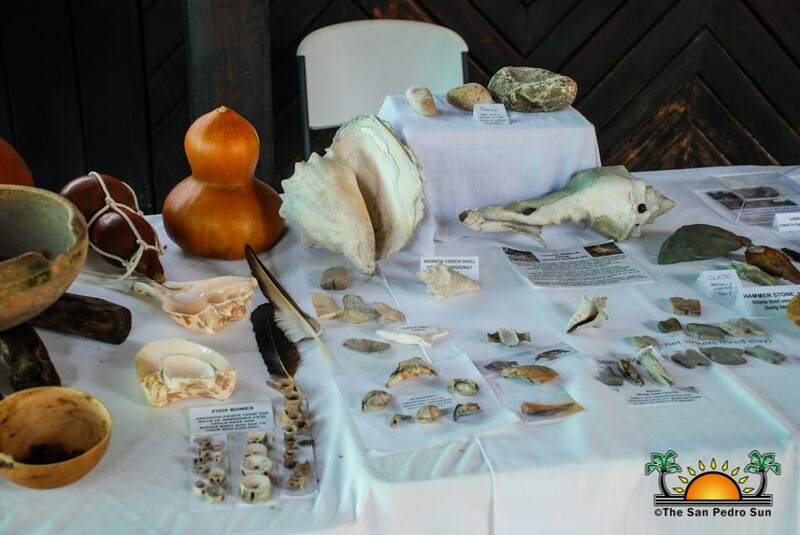 On Ambergris Caye the week ended with an IoA visit to the Marco Gonzalez Archaeological Reserve on Saturday, October 21st, which is recognized as International Archeology Day. The MGMSAC and NICH/IoA look forward to holding another educational event next year and would like to thank everyone who came out and made it a success.